Join Cutco® in supporting breast cancer research at Roswell Park Comprehensive Cancer Center! Cutco® has generously committed to supporting Roswell Park and its research to help find a targeted therapy for triple negative breast cancer (TNBC), an aggressive form of cancer that has so far eluded treatment. 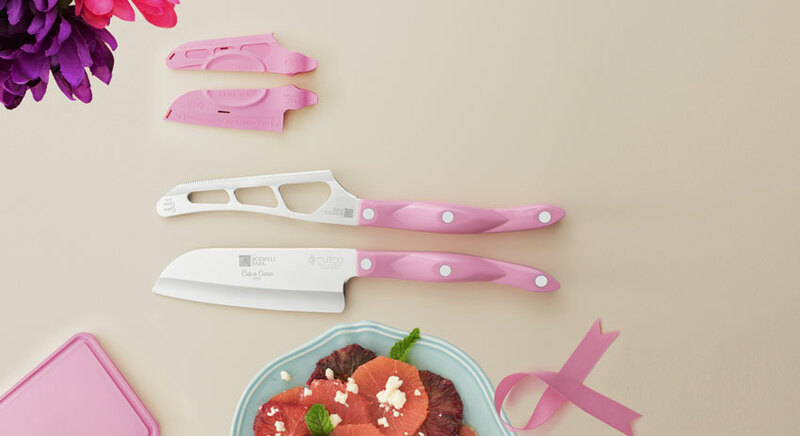 To help fuel this study, you can purchase the limited-edition, Positively Pink Cutco® Pink 5" Petite Santoku Knife with Sheath, Traditional Cheese Knife with Sheath, a Pink Cutting Board or a 2-piece Positively Pink Set, which includes both knives. Each knife, whether purchased separately or as a set, are branded with the Roswell Park logo. Cutco® will donate 10% of sales of these limited-edition items to this research study, with a goal of raising $50,000. "While triple negative breast cancer generally responds well to chemotherapy after surgery, it tends to come back. 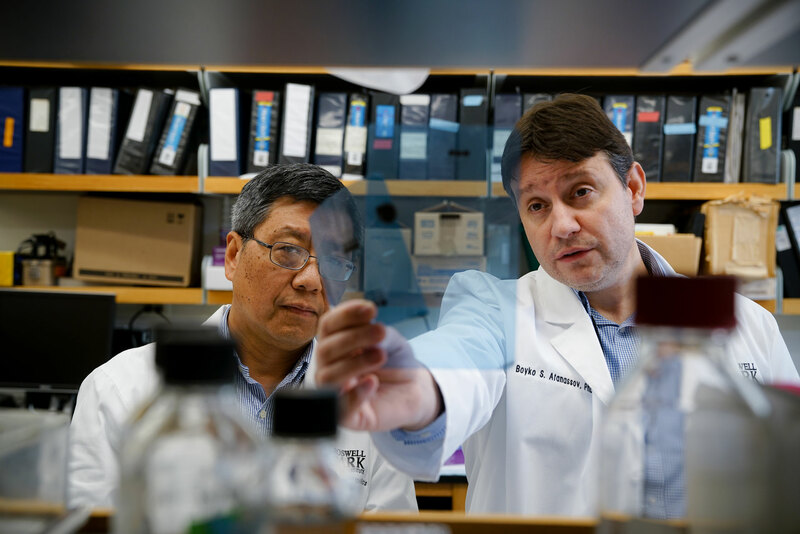 More than 50 percent of triple negative breast cancers overexpress a molecule called epidermal growth factor receptor (EGFR), which is recognized as contributing to poor prognosis.